With our latest release we’ve improved the flow of your Messaging (Live Chat and SMS/Texting) settings page, while also exposing new settings to our users. We think you’ll enjoy the ease of navigation and access to some settings and tools previously only available to the iCarol team. These settings are still found in the same location, by first clicking on ‘Messaging’ in the main iCarol menu. 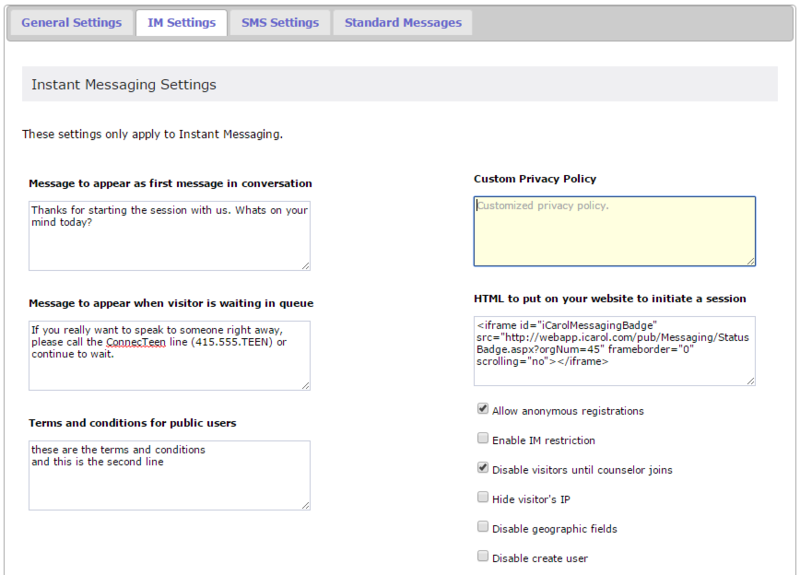 Next, you’ll click on “Instant Messaging and SMS Settings’ in the upper right of that screen. Previously these were two separate links that would take you to two separate settings pages. 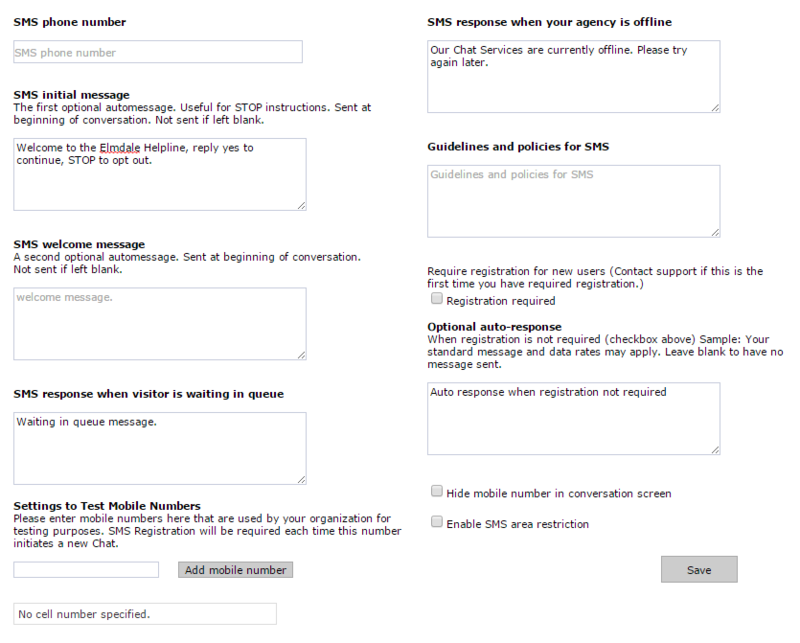 Now this is a single link taking you to a single page where you can navigate through both Live Chat and SMS Settings. Once you arrive on the settings page, you’ll find a tabbed layout to access various settings. Before changing any settings, you’ll first need to select the Portal to which your selections should apply. Your organization may only have a single Live Chat or SMS service with iCarol, but if you’ve added on additional services then you will find these portals listed in the drop down menu. 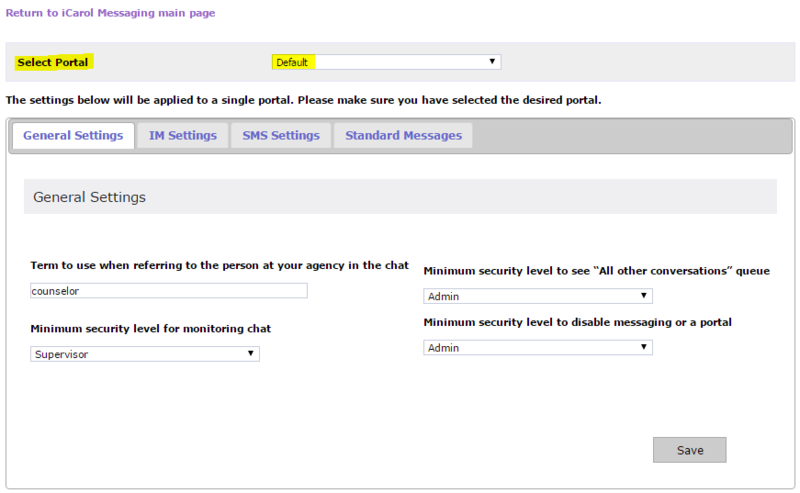 On the ‘General Settings’ tab, shown above, you can decide what terminology is used to reference your Chat Specialist within the chat conversation, and also decide what security levels can monitor chats, see all active conversations, and who can disable Messaging or a particular portal. The lower part of the ‘IM Settings’ tab includes a feature where you can upload custom Online or Offline images to replace the default images offered by iCarol. This means your organization can design your own Online/Offline images that fit with your branding or make use of your logo or other images easily identifiable with your agency. Lastly, decide which fields should be available and/or required at registration, and also set specific coverage areas to be allowed access to the chat, should you choose to enforce geographic restriction. On the ‘SMS Settings’ tab you’ll find mostly familiar settings that were accessible under the previous layout. Here you can determine all the auto responses for the selected Portal, including the important responses that will describe the Opt-in and Opt-out procedures to your visitor. Here you’ll also enter any mobile numbers you plan to use to test your SMS service, and finally you’ll find new settings to enable geographic restriction and hide a visitor’s full mobile phone number. 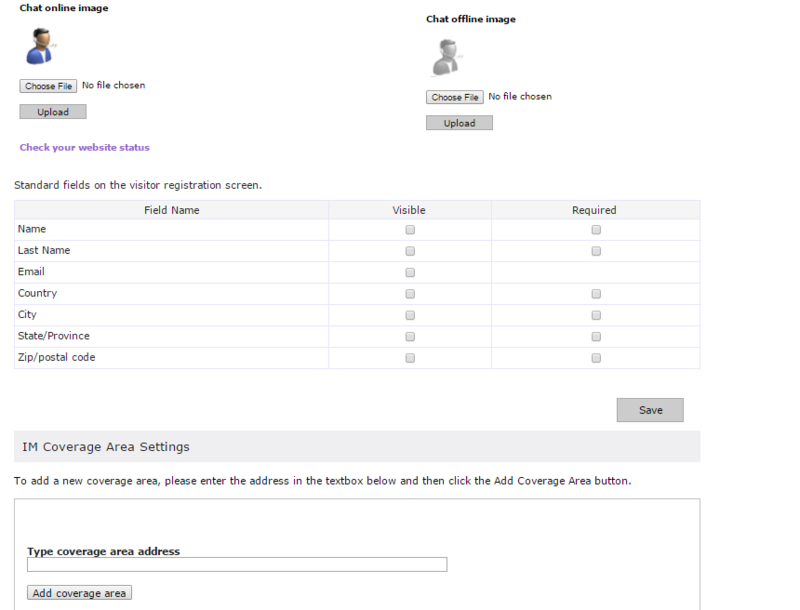 On this page you can also enter coverage areas should you choose to enforce geographic restriction. Finally on the last tab, Standard Messages, you will set all the pre-written greetings that should be available for use by your Chat Specialists. These standard messages can be set by Portal, and for Live Chat, SMS, or both. Once entered these messages can also be edited or deleted as needed. We hope you’ll find this new layout even more user friendly and easy to navigate than before. Additionally, access to new tools and settings offer even more control over how your Messaging service works and grants immediate access to make important changes that once had to be submitted to our Support Team. We believe this expanded access will further strengthen your service as you offer these new and important communication channels to your community. Should you have questions or need assistance understanding or using these settings, don’t hesitate to contact our Support Team for assistance.